Greetings, dear readers! I hope you are having a wonderful week! It's been a little crazy here, but it looks like things are thankfully slowing down. 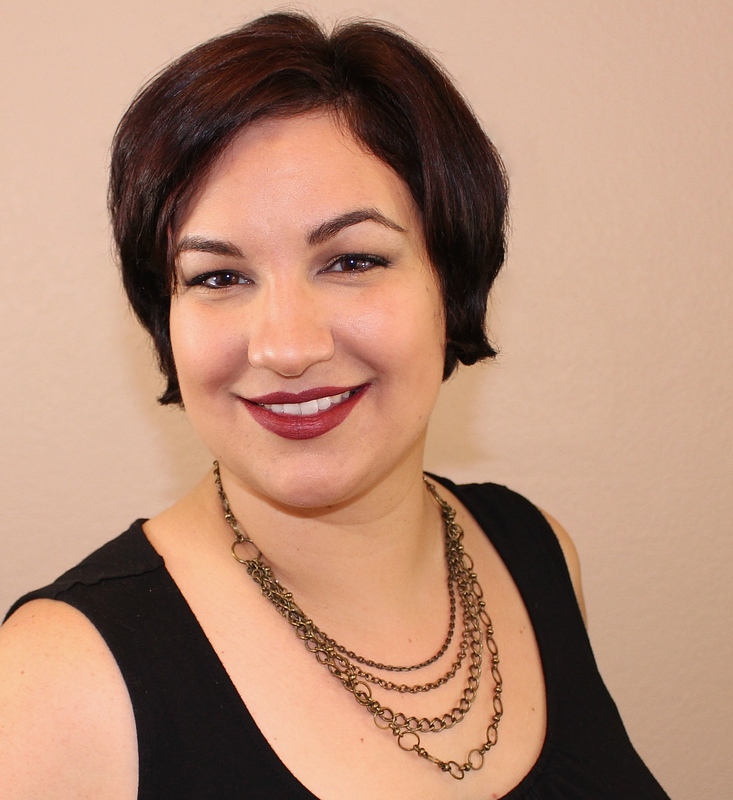 I'd eager to get to today's post, so I'm going to keep the chit chat short and jump on in. 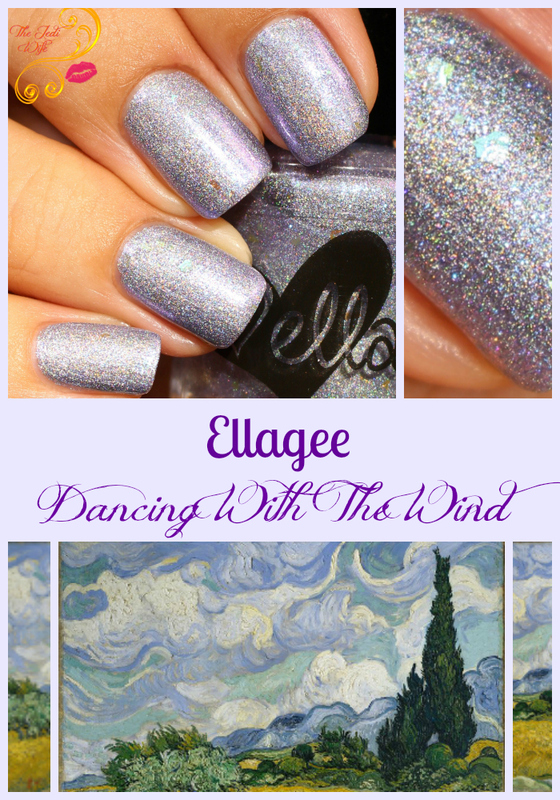 For today's post, I have Ellagee's polish, Dancing With the Wind, created for the April Polish Pickup to share with you. Before I show you photos, let me fill you in about Polish Pickup! Polish Pickup starts with a fun and interactive group on Facebook. Each month, members submit theme suggestions, and the organizers chose the top 10 submissions. From there, these theme suggestions are presented to the group and the theme selected by popular vote. Makers then design their polishes to fit the chosen theme and are then sold at Polish Pickup during a designated time frame. While all polishes are based upon the theme, there is no box commitment with these beauties. You can buy as many or as few as you wish! No more having to decide if you should or should not buy a box of four polishes when you only want two shades! Now that I've filled you in on how Polish Pickup works, let's check out Ellagee's contribution! The theme for April's Polish Pickup is Famous Works of Art. 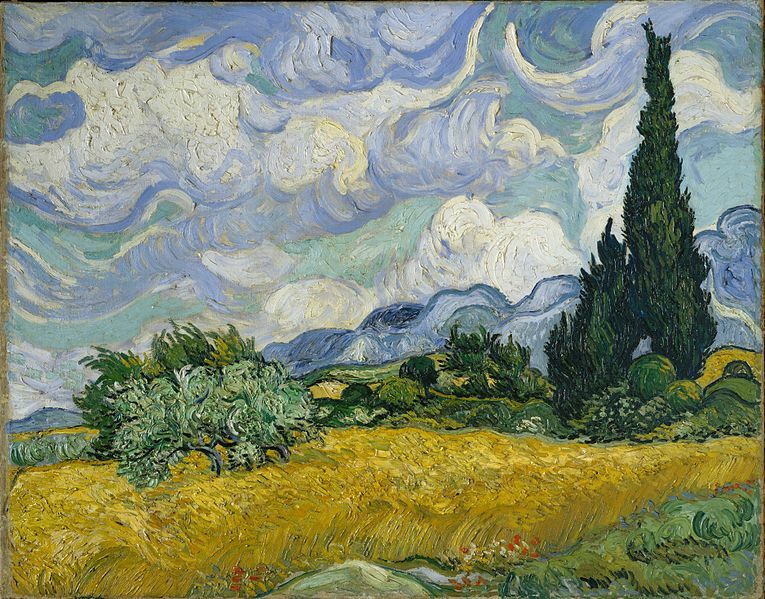 Laura, the creative mastermind behind Ellagee, selected Vincent van Gogh's Wheat Field With Cypresses as her inspiration. Dancing With the Wind is a lavender scattered holographic polish with chameleon shimmer and flakes. While formula preference is very personal, I love this formula! It isn't too thick or thin for taste taste and applies flawlessly with minimal effort required. The flakes sit nicely on the nails, and the only issue I encountered was the occasional flake hanging off the nail. The overhanging flakes easily push back onto the nail or can be pulled off as you prefer. Dancing With the Wind is densely pigmented, and while I needed two coats for opacity, it was almost a one coater for me. Those that paint with thicker coats may find they only need a single coat to cover visible nail line. Dancing With the Wind and other polishes created for the Famous Works of Art theme from the Polish Pickup website located here. Shop is live Friday, April 7th 11 AM EST through the following Monday, April 11th at Midnight EST. This is the ONLY time frame in which the monthly polishes will be available for purchase, so if you want this or any of the other polishes, be sure to mark the dates on the calendar! Please note that this is a preorder and shipping will commence approximately two to three weeks after the end of the store opening. At this time, Polish Pickup has made the decision to ship only within the US and Canada; however, special arrangements can be made for international group orders. How gorgeous is this polish! I'm loving the Polish Pickup! It's so fun to see how everyone is interpreting their artwork! I love the sneaky flakies that are dispersed throughout! <3 Gorgeous! I absolutely love Van Gogh, great inspiration! This is absolutely gorgeous! The flakes in there make it so unique! That is a stunning and intriguing mix of gray and purple...such a unique polish color!